Here is the lineup of AGO meetings for this season, 2018-2019. Our meetings take place at various venues throughout the area and are typically the third Monday evening of the month although there are certainly exceptions. We generally begin with a punch bowl and social time at 6:30 p.m. followed by dinner at 7:00 p.m. The cost for dinner is $15 and to encourage attendance by younger members the board has underwritten the cost of meals for all AGO members and guests under the age of 30. The cost of these meals will come from a dedicated fund that has been recently established for this purpose. The program portion of the meeting follows at 8:00 p.m. and all programs are open to the public. On occasion free-will offerings will be accepted at the conclusion of some evening programs. Dinner reservations are requested by the Wednesday prior to the meeting and members will be called by the Executive Council. You may also make your reservation by emailing agodinner@grago.org or calling our Treasurer, Errol Shewman at 616-307-7241. The Grand Rapids Chapter hosted David C. Jonies, Associate Director of Music at Chicago’s Holy Name Cathedral. He presented a varied program and made colorful and imaginary use of the three manual, 72 rank, Wicks Organ at the Basilica. The acoustic splendor of the Basilica (11 seconds) lent a valuable sheen to the luster of sounds he produced. The Basilica’s concert series, “Under the Dome Series” partnered with the GRAGO in presenting this program. Sitting under the dome increased the significance of the organ sound aura. It was almost as if the organ was meeting you in surround sound, even though all 72 ranks are in the rear gallery. The program began with Guilmant’s March on a Theme by Handel, Op. 15. The effect was majestic, heroic and commanding. Following were three chorale preludes of great interest: O Salutaris Hostia by Saint-Saëns, Es is ein Ros entsprungen of Brahms, Salve Regina, Op. 39 of Piechler. The Saint-Saëns was particularly beautiful with the use of the Vox Humana and the Harmonic Flute. All were extremely interesting and used colorful combinations. The Prelude and Fugue in D Major BWV 532 followed, played at lightning speed. Pavane-Danse liturgique by Proulx set the scene for a commanding and insightful performance of Symphonie Nr. 6, Op. 42 of Widor. All movements were performed with equal attention to style, registration and musicality. It isn’t often that one hears the complete work at one concert and it was a distinct pleasure to have this opportunity! The Finale using the commanding enchamade Fanfare Trumpet, brought the audience to their feet in a deluge of sonic splendor. A dessert reception was held in the undercroft of the Basilica following the concert. 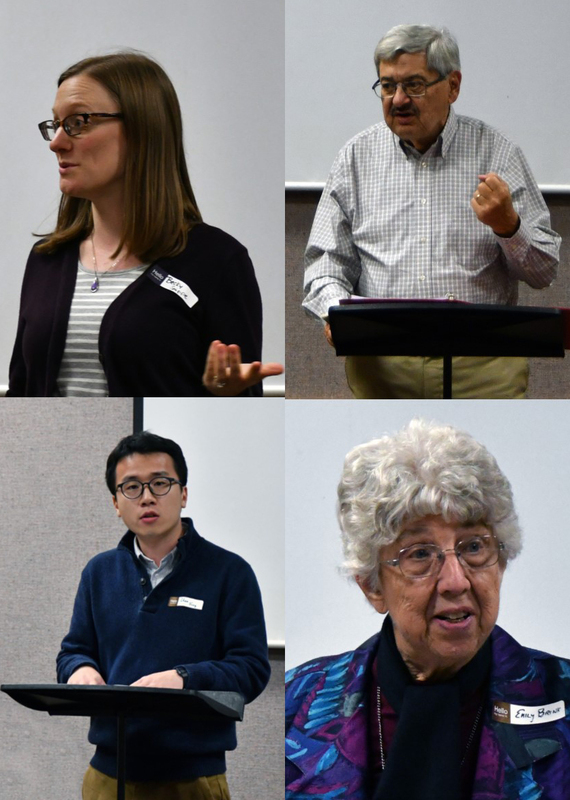 A presentation is led by Bob Batastini, Emily Brink, Norma deWaal Malefyt, Chan Jang, and Becky Snippe, and co-hosted by the Calvin Institute of Christian Worship. Our presenters discussed the need for a fully bilingual hymnal which has been addressed by the forthcoming hymnal, Santo, santo, santo: Cantos para el pueblo de Dios / Holy, Holy, Holy: Songs for the People of God (GIA Publications, Inc., 2019). Bilingual music is needed in both cities and rural communities, and in every part of North America, both south and north, both east and west. It can include bilingual versions of deeply loved hymn texts, as well as newly written music and popular coritos.We sang a variety of hymns, some old and some new; some originally in Spanish and some originally in English. This new hymnal will be a valuable resource for many Protestant church that have not previously had a bilingual hymnal. Publication is expected in early 2019. For our November program, the GRAGO welcomed organist, Dexter Kennedy for a recital co-sponsored by Trinity Lutheran Church and the GRAGO. Kennedy is Associate Organist at Christ Church in Grosse Pointe, MI and is the Organ, Harpsichord Instructor at the College of Wooster in Wooster, Ohio. He also was the winner of the Grand Prix d’Interprétation at the 24th Concours International d’Orgue de Chartres. His Grand Rapids’ presentation was compelling for several reasons. The use of a smaller instrument, a tracker instrument 37 ranks over 3 manuals, was a study in variety and color. Often this required some very artful use of playing up or down an octave. Added to this was his astounding technique which was flawless and extremely agile. Kennedy’s choice of literature was varied in choice by periods, and what was more amazing, his musicality was well adapted to each period! His sense of line and touch created a product which was extremely pleasing. Program: Bruhns: Praeludium in G; Storace: Ciaccona; Bach: Trio Sonata IV; Mozart: Andante in F, K. 616; Pierné: Trois Pieces; Mendelssohn: Andante and Variations in D; Albright: 3 movements from Organbook III; Litaize: “Lied” and Prelude et danse fuguée. While it would be hard to choose a favorite (he was entirely at home in each) I was drawn to the Albright and Litaize pieces, partially because they are not heard often enough, and to their fresh and energetic performances. It was an afternoon of delightful, well played music. Review by Larry Biser. Huw Lewis received formal training at the Royal College of Music in London and at Cambridge University and was awarded teaching and performing diplomas from the Royal Academy and the Royal College of Music as well as both diplomas of the Royal College of Organists. 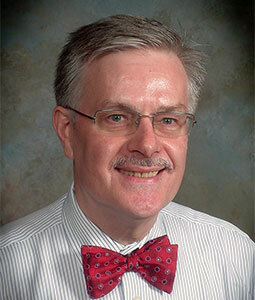 He received scholarships and fellowships at Cambridge University and the University of Michigan. In 1972, he came to the United States to study at the University of Michigan, earning Master’s and Doctoral degrees in organ performance as a student of Robert Clark, Robert Glasgow, and Marilyn Mason. His extensive performing career has taken him across the United States, and to Britain, Europe, and Russia. He has performed at numerous national and regional conventions of many professional organizations, including the Hymn Society of America, the Organ Historical Society, and the American Guild of Organists. Dr. Lewis was a featured soloist at the 1987 International Congress of Organists and served on the panel of jurors of the 2003 Dallas International Organ Competition and the 2016 Sursa American Organ Competition at Ball State University, Indiana. His playing has been broadcast over the radio and television in Europe, Britain, and the U.S. Huw Lewis has appeared as a soloist many times with orchestra and has participated in the world premieres of concertos by Alfred Fedak and Michael Daugherty. His performance of the Fedak concerto with the Grand Rapids Symphony in May 2016 helped to inaugurate the new Casavant organ at the Jack H. Miller Center for Musical Arts at Hope College. 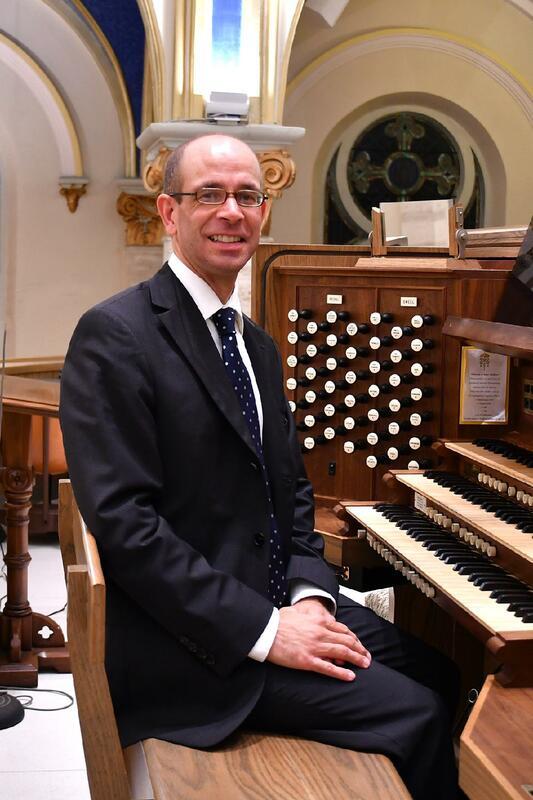 Dr. Lewis is Professor of Organ and College Organist at Hope College, Holland, Michigan and Director of Music at St. John’s Episcopal Church, Detroit. Huw Lewis is represented in North America exclusively by Phillip Truckenbrod Concert Artists, LLC. 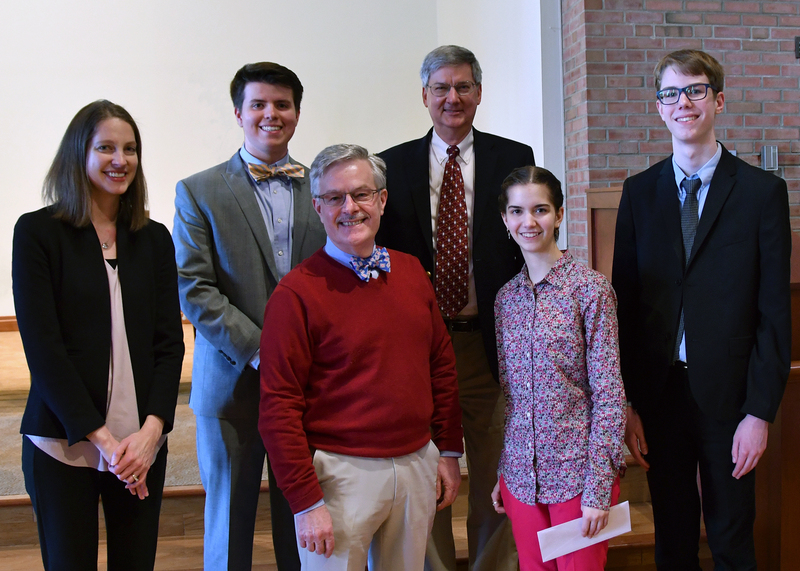 The Grand Rapids Chapter of the American Guild of Organists met on February 18 for a recital by past winners of the Annamae Rotman Young Organists Competition who presented a recital on the Reuter Organ (III/49) of Second Congregational Church U. C. C.
The Annamae Rotman Young Organist Competition was founded in 2013 by Dr. Richard Rotman in honor of his mother and is an annual competition. The GRAGO thanks him for his generous support of young organists. The competition is open to those who are under 24 years of age as of August 1 of the competition year and live in Kent County, MI or any county adjacent to Kent County, and/or a resident student attending a junior high school, senior high school, college, or university in Kent County or any county adjacent to Kent County (Ottawa, Muskegon, Newaygo, Montcalm, Ionia, Barry, or Allegan Counties). It was the pleasure of the audience to have Dr. Rotman as well as his mother and sister in the audience. The competition has been headed up by Dr. Bruce Klanderman and Dr. Joan Ringerwole, who were also present. The GRAGO presented them with certificates of appreciation for their diligence in presenting this competition since 2013. The first-place winner in 2015 was Chan Gyu Jang who played “Prelude on Thaxted” by William H. Bates as well as César Franck’s “Chorale in A Minor.” For his hymn choice, he accompanied the audience on “You, Lord, Are Both Lamb and Shepherd (Picardy).” Chan is a student at the Calvin Theological Seminary in Grand Rapids and an organ student of Norma deWaal Malefyt. Owen Tellinghuisen is a 16-year-old junior at Grand Rapids Christian High School and is also a student of Norma deWaal Malefyt. He was the 2017 first-place winner of The Annamae Rotman Young Organist Competition. He chose “Thine Is the Glory (Maccabaeus)” as his hymn and followed it with the “Fugue in G Major (Gigue) (BWV577)” and two movements of the “Suite Gothique, Op. 25” of Lèon Boëllmann (Prière a Notre-Dame and Toccata). 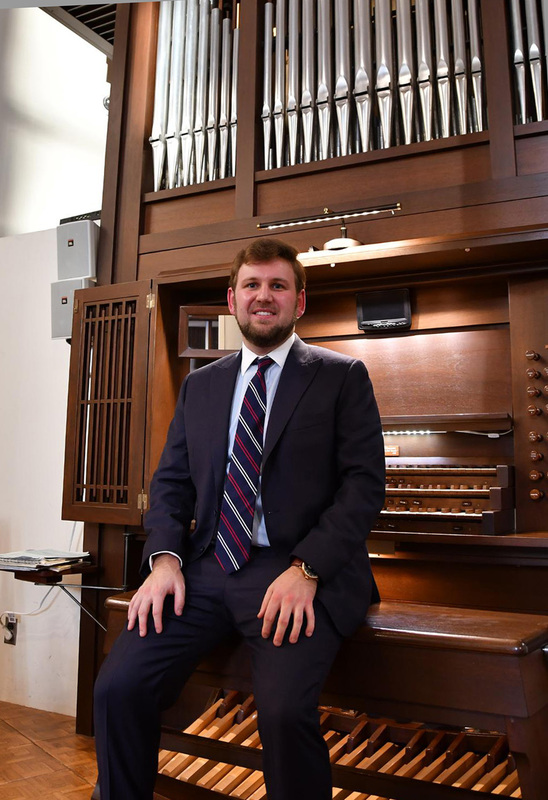 Jonathan Bading was the 2018 first-place winner of The Annamae Rotman Young Organist Competition. He has a B. Mus from Hope College and was a student of Huw Lewis. 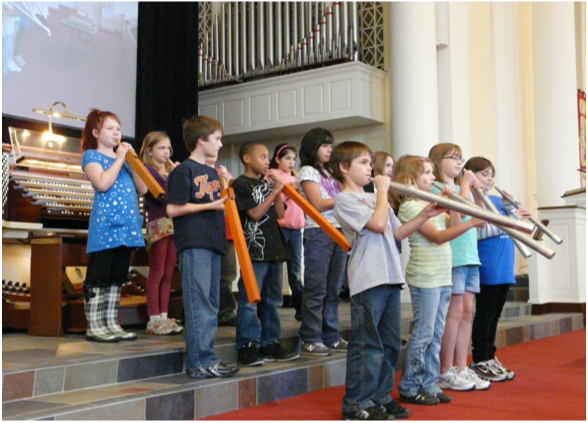 He serves as Director of Music for the Sacred Heart of Jesus Catholic Church in Grand Rapids. He presented “Attende Domine No. 3, Op.8” by Jeanne Demessieux and “Prelude in G Major, No. 3, Op. 56” by Max Reger. As his hymn he chose “The King of Love My Shepherd Is (St. Columbia).” His final selection was “While the King Sitteth At His Table, My Spikenard Sendeth Out Perfume Thereof, No. 1, Op. 18” by Marcel Dupré. It was an enjoyable evening of hearing what the competition has fostered and seeing and hearing the gifts of our young artists. A rather large audience enjoyed singing the hymns and listening to the young talent. The Grand Rapids (Michigan) A.G.O. 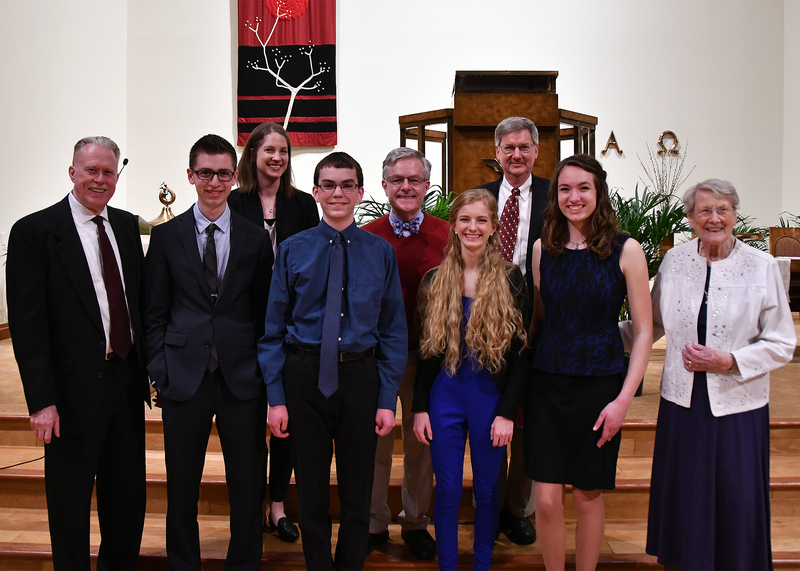 held a two-header Competition for young organists on April 8, 2019 at Calvin Christian Reformed Church in Grand Rapids. 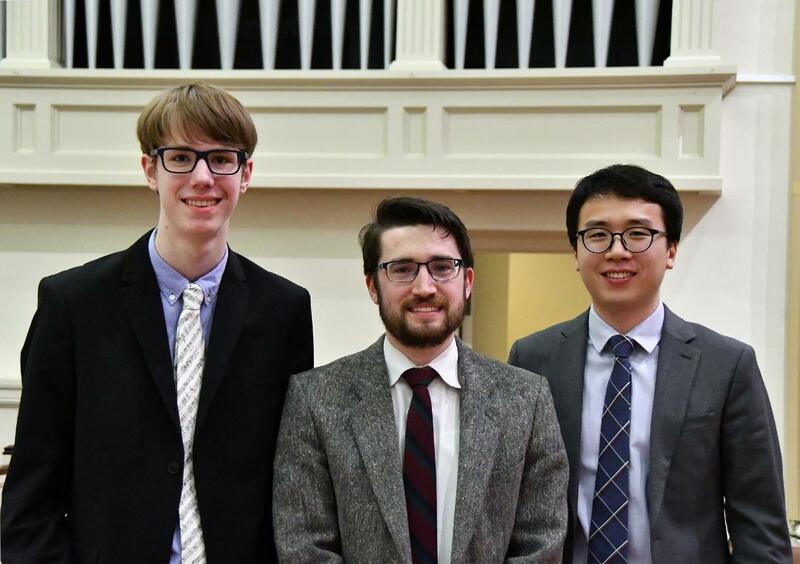 At 1:00 p.m. the Quimby Regional Competition for Young Organists was held. The first-place winner was Emily Amos (17 years old), a student of Thomas Bara at the Interlochen Arts Academy. Second place was awarded to Joseph Mutone (21 years old), a student of Dr. Kola Owolabi at the University of Michigan and the third place was given to Owen Tellinghuisen (16 years old), who attends Grand Rapids Christian High School and is a private organ student of Norma deWaal Malefyt. At 7:30 p.m. the judges and members of the guild as well as parents, families and friends met for the second competition of the day: our local Annamae Rotman Young Organist Competition. This local competition is underwritten by Dr. Richard Rotman in honor of his mother, Annamae Rotman. For this competition applicants must be under 24 years of age and from the immediate area. Three awards are presented. This year we heard 4 competitors. First place was given to Bethany Dame (18 years old), a Student of Dr. Christopher Dekker. She is a Senior at East Kentwood High School. The Second place was awarded to Nicholas Rozendaal (16 years old), a student of Zachary De Bruine. Susanne Boot (18 years old) was awarded the third prize and is a student of Dr. Joan Ringerwole. The fourth competitor was Grayson Owens (15 years old) of Holland, MI and a student of Dr. Elizabeth West. 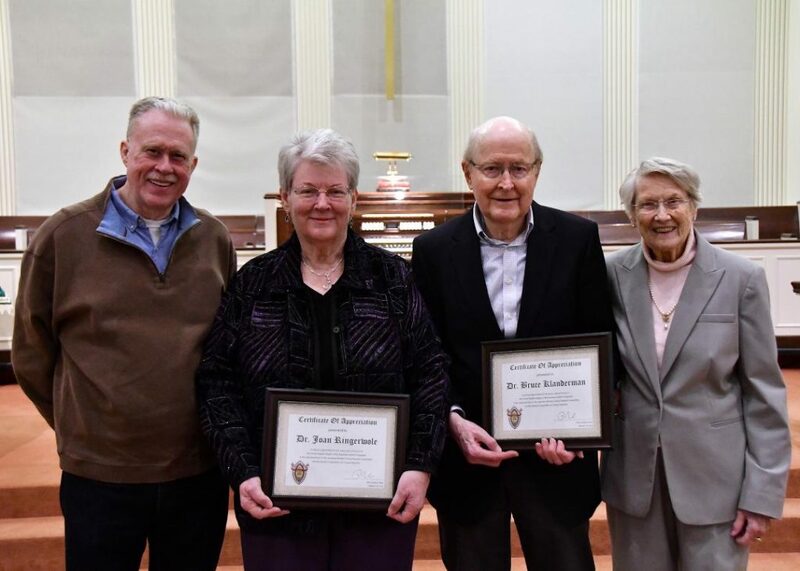 The Judges for the Competition were Dr. Huw Lewis of Hope College, Dr. Craig Cramer of the University of Notre Dame, and Dr. Carrie Groenewold of St. Luke’s Episcopal Church in Kalamazoo. 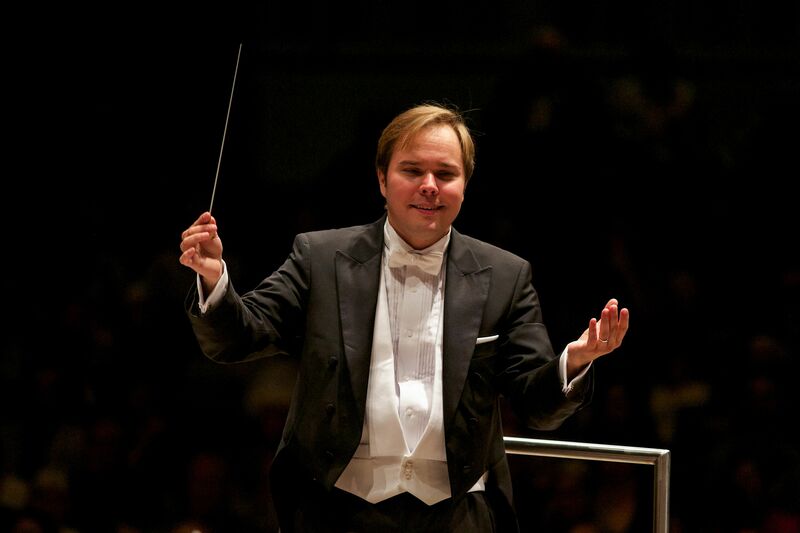 Brazilian-born Marcelo Lehninger is in his third year as Music Director of the Grand Rapids Symphony. He previously served as Music Director of the New West Symphony in Los Angeles, for which the League of American Orchestras awarded him the Helen H. Thompson Award for Emerging Music Directors. Marcelo was appointed Assistant Conductor of the Boston Symphony Orchestra by James Levine, and, after a very successful two year tenure that included stepping in for Maestro Levine on short notice in Boston and on tour at Carnegie Hall, was later promoted to Associate Conductor. Maestro Lehninger will speak on music for organ and orchestra and musicians from the Grand Rapids Symphony will join with organ for our enjoyment.